Making a pencil skirt-the easy way! I don’t know about you but there’s hardly an item in my wardrobe that I haven’t fiddled with or adjusted in some way (how is it possible NOT to own a sewing machine?!). One of the most annoying alterations is letting things out – mainly because it means you’ve put on weight and that’s just depressing. Taking in? Delightful! The thing that makes all these tasks frustrating is the endless unpicking and having to alter the lining as well as the garment – sometimes I’d rather chew off my own arm than start taking something apart. The following tutorial is a brilliant way to make a pencil skirt (I can say that as it wasn’t my own idea, although I really wish it was). The idea came from The Dressmakers Handbook of Couture Sewing Techniques by Lynda Maynard (available here). I love sewing books because, sadly, not that many people sew their own clothes any more and even less at professional standard; so there aren’t that many people to chat about stitching and swap technical ideas with. Books are always a great way to learn new techniques and you can’t progress without new ideas! I recently bought The Dressmakers Handbook of Couture Sewing Techniques for a fellow seamstress and it was a great read, although only if you’re into sewing obviously – it won’t be appearing on Richard and Judy’s book club list any time soon. There are a few techniques that I’m itching to try but this one in particular stood out. I’ve made a few pencil skirts this way now and it’s brilliant. So, without further ado – a new way to line a pencil skirt. A word of warning though, this tutorial is aimed at those with some experience. 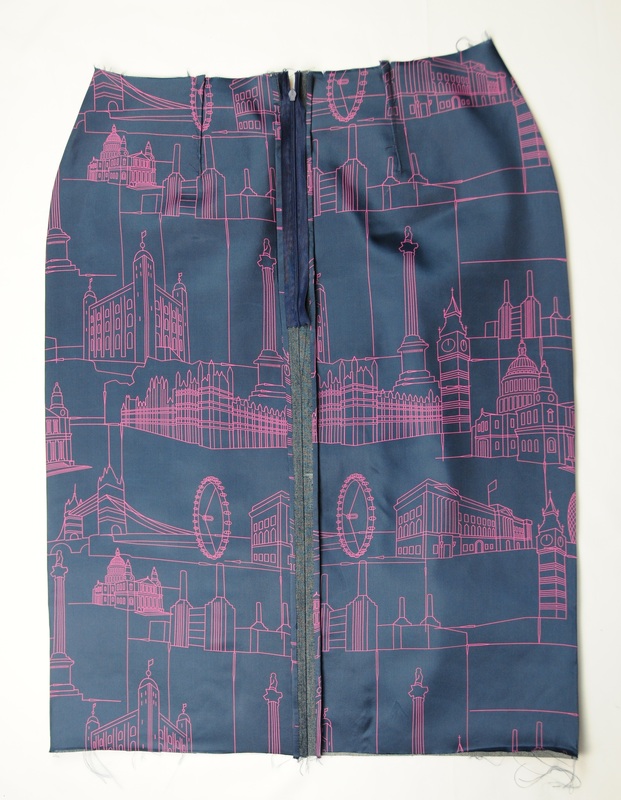 I haven’t included instructions for absolutely everything; how to put in a zip, for example. 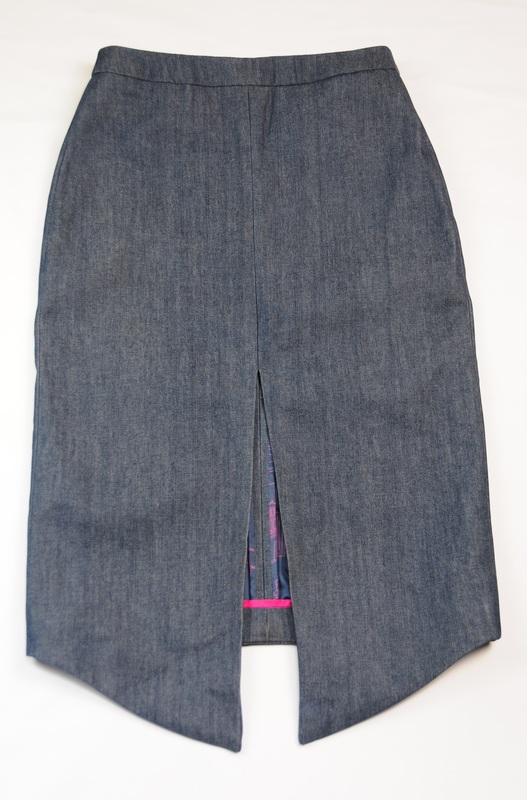 I made the pencil skirt from this denim and lining. 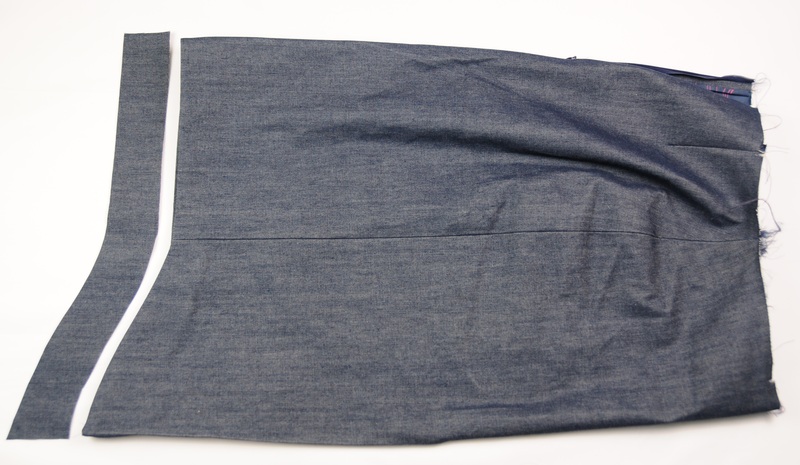 The idea of the skirt is to have beautifully bound seams and a mounted lining. 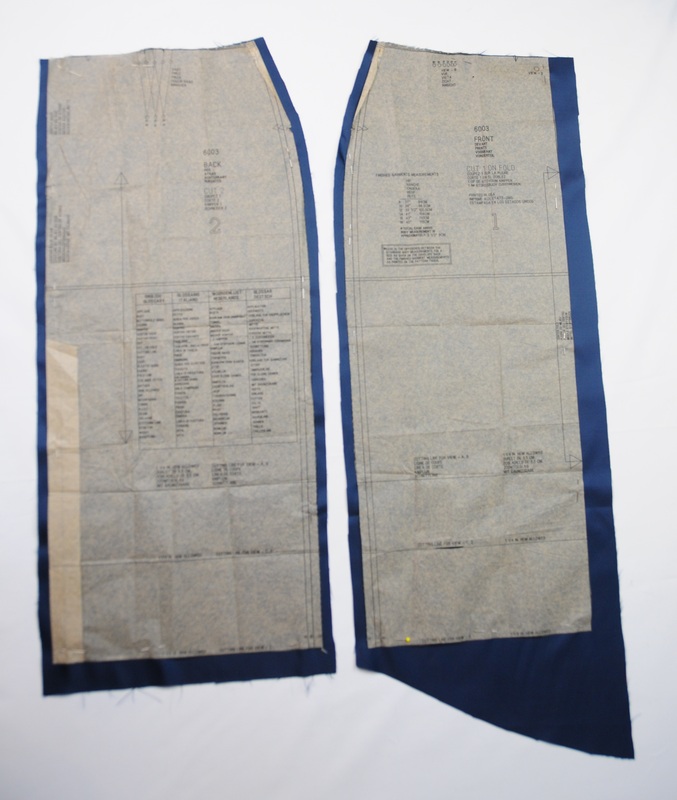 Begin by cutting out your fabric pieces as normal, using a pattern of your choice. I used this New Look pattern but any pencil skirt pattern would work. When you come to cut the lining, cut the lining 1cm bigger than the pattern along the side seams. I adapted the pattern slightly because I wanted a dipped hem and split at the front. Now place the lining and fabric RIGHT sides together and pin along the sides. 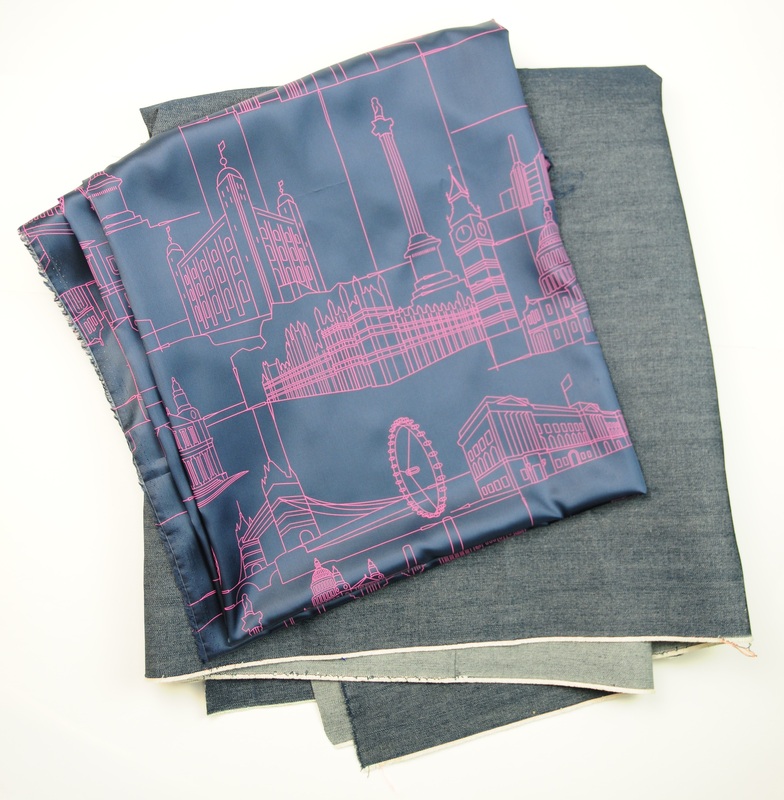 Sew the lining and fabric together using a 0.5cm seam allowance. 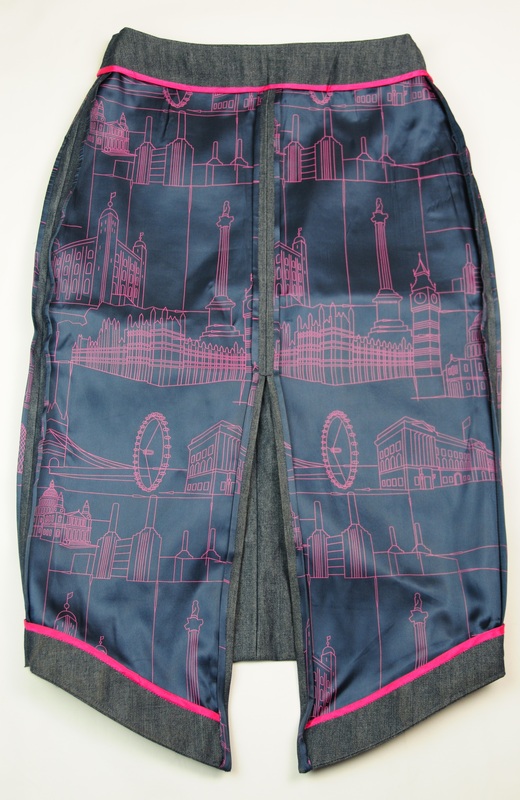 When all the pieces are mounted onto the lining you can begin sewing your skirt together. For the hem I cut a strip which mirrored the hem of the skirt. 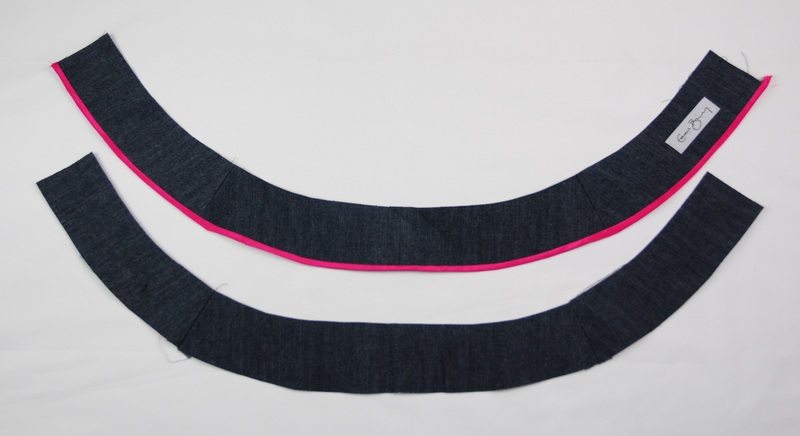 I bound the top part of the hem facing in a contrast pink lining and did the same on the waistband. 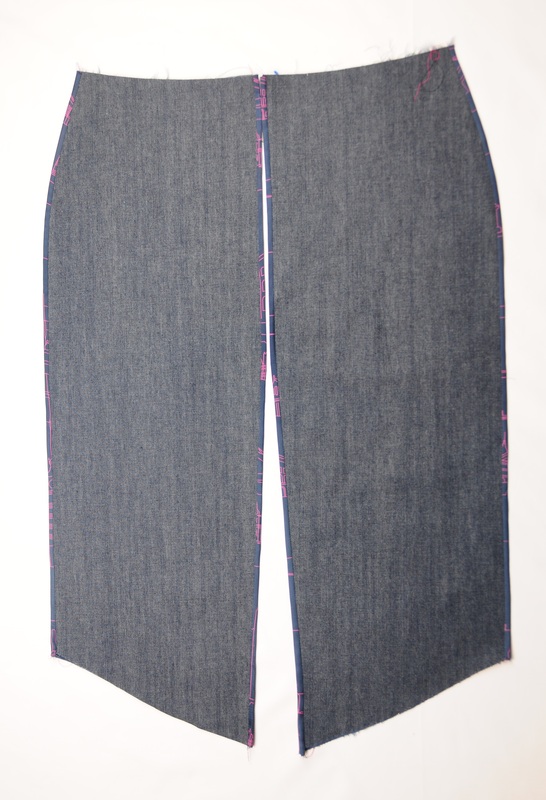 I matched the hem facing right side to right side with the skirt and stitched them together. I finished it off by handstitching the hem up. The finished inside looks so beautifully neat and tidy – it’s just a shame no one will ever get to see it. Except you.